When photography captures the Earth’s topography, vegetation often obfuscates the fine details. Light Detection and Ranging (LiDAR) allows the solid surface to be viewed in a new light. 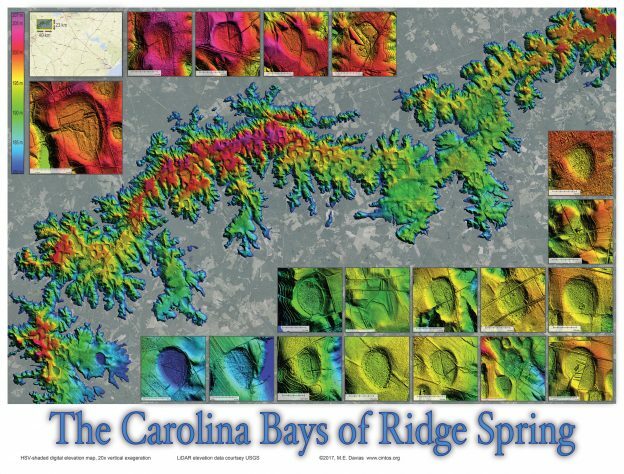 I have applied LiDAR technology to research the “Carolina bays”, ovoid basins found by the tens of thousands in the USA. When photography captures the Earth’s topography, vegetation often obfuscates the fine details. 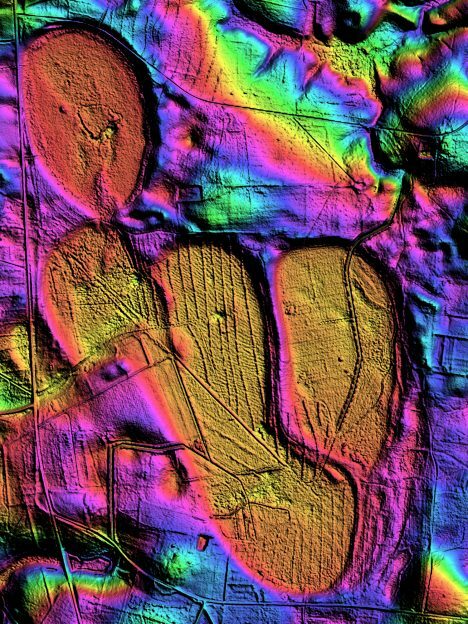 Light Detection and Ranging (LiDAR) allows the solid surface to be viewed in a new light. 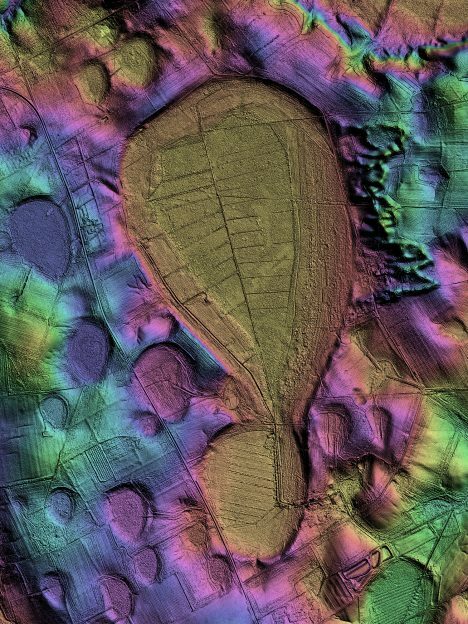 I have applied LiDAR technology to research the “Carolina bays”, ovoid basins found by the tens of thousands in the USA. 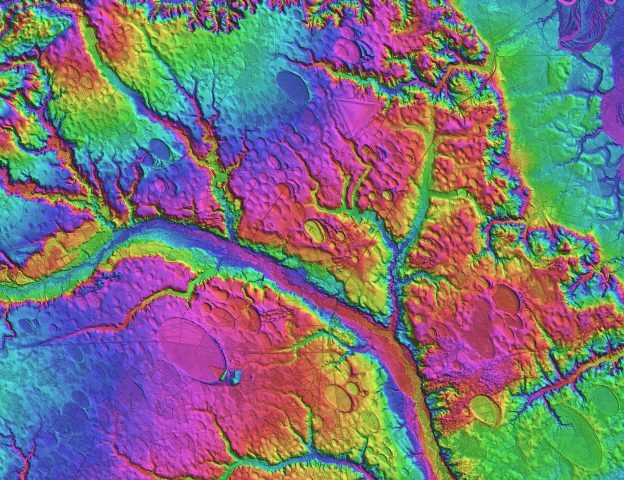 The data is processed using a hue-saturation value table to present a false-color elevation map. 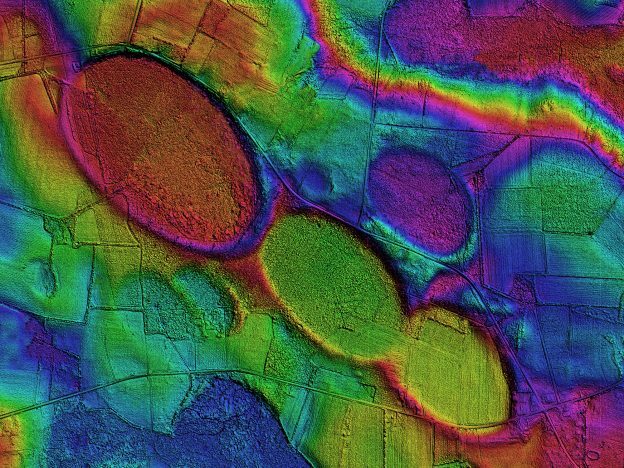 To further enhance the 3-D topography, elevation values are exaggerated 20x and a “hill shade” algorithm is applied. The imagery documents how enigmatically “cookie cutter” they are. Often times I am blown away by their beauty.